It’s fair to say that, outside of actual movie fans – those being people who are, in a sense, connoisseurs of cinema, rather than disinterested consumers – the names Michael Powell and Emeric Pressburger probably mean very little. Sure, they wrote and directed this entry, 49th Parallel, and other, better films, but that doesn’t mean they’re at all well-known in the wider world. Certainly, people have all seen a Hitchcock movie or two, are passingly familiar with C.B. DeMIlle, and have at least heard the name John Ford. Some of them might even know that Orson Welles directed something or other, even if they can’t remember what. But outside of maybe hearing Martin Scorsese sing the praises of Powell and Pressburger on some random DVD extra, they are generally lesser-known, even more so than Billy Wilder, William Wyler and Michael Curtiz, who are not all that well-known themselves. What’s distressing here is that, for all they are unknown, Powell and Pressburger are amazingly influential – there’s a reason why most every discussion about film history with Martin Scorsese eventually turns to a discussion of Powell and Pressburger. Moreover, they made many fantastic films that, were the two men more widely revered today, would be hailed as movie classics. It’s 1940 and Europe is embroiled in WWII – Nazi’s are on the march. In spite of this, the USA is standing neutral, though Canada is already in the war. In order to disrupt Canadian shipping lanes, a German U-Boat parks itself in Canadian waters. Later, needing supplies, 6 of the crew are sent ashore in the Hudson Bay and, just after the boys land, the submarine is bombed to smithereens behind them, stranding them. Their only way to get back to Germany? Cross the 49th parallel into the United States, where they expect the neutral American’s will repatriate them to Nazi Germany. In a way, 49th Parallel is similar to The Russians Are Coming, The Russians Are Coming in that in the latter film the Soviet’s only come ashore from the coast because they got their sub stuck off Nantucket and are trying to find a way to get it unstuck, whereas in the former, the Nazis need fuel to get the hell out of town. The big difference? One plays the situation for wacky comedy, the other plays it for tragedy. To be fair, you can’t measure 49th Parallel by standard good or bad metrics, because 49th Parallel was never produced with such standard metrics in mind. Rather, given it was funded by the British Ministry of Information, it was meant as propaganda – propaganda masquerading as speculative fiction. And the explicit purpose of the propaganda? To get the US into WWII. Judging it on that criteria – success/failure as propaganda – the results are mixed. Thematically, it’s on point – we get that the Nazi’s are bad. But, when it has a chance to make it’s point through action, rather than simply with words, it too often pulls it’s punches, blunting it’s impact. In many ways, the film is toothless by failing to truly show what makes them detestable. Beyond that, it’s curiously sympathetic to the individual Nazis. Yes, they are generally a nasty bunch, but too often they are shown with great understanding and compassion, almost to the point of making us see their choices as reasonable. I suspect this depiction was meant to show how easy it can be to be seduced into some perverse ideology, that even good people can be corrupted, but in a film that is otherwise obvious with the points it makes, this one is far too subtle to be the intention. Judging the movie against traditional notions of good and bad, the reaction to the film is equally mixed. Stylistically, it’s a hodge-podge, employing voiceover at the beginning, which immediately disappears, never to return. It gives exposition through opening title cards and has a script that lumbers from episode to episode – the film is basically divided into four episodes, with each of the name actors starring in their own little bit. Worse, it’s decidedly artless, sorely missing the sumptuous visuals cinematographer Jack Cardiff brought to later Powell and Pressburger films. And, finally, it lacks the complexity and ambiguity of their later films, particularly The Red Shoes. In short, while 49th Parallel carries the names Powell and Pressburger on it, it feels less like one of their own creations, and more like a work-for-hire gig. That said, despite being my reception being mixed, the film was not terrible – it just wasn’t entirely successful at what it was meant to do. On the whole, it’s a bit overlong, and perhaps too earnest, but you won’t hate yourself for having spent time with it, even if it doesn’t quite achieve what it set out to do. Given the top-billed performers are Laurence Olivier, Leslie Howard, Raymond Massey and Anton Walbrook, you know the performances are going to be good. Howard is wonderful as the intellectual wimp, who turns out not to be the wimp at all. 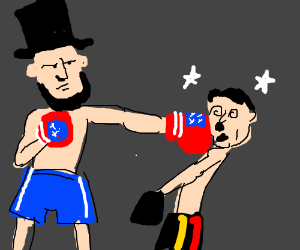 Massey is strong and upstanding, if a bit easy to rile up, and there is something satisfying in seeing Abraham Lincoln punch out a Nazi – even if the actual punching happens off-camera. Olivier is solid as the trapper who encounters the Nazis first, though his French-Canadian accent – in the film, he’s the only one who actually attempts an accent, and all the German’s speak with a British accent – is so broad it’s unclear if he knew he was in a drama and not some sort of farce. While those men do good work, the star of the film is clearly Eric Portman. He gives a superb performance as the leader of the Nazis and so commits to his role, and is so zealous, it’s easy to think he actually is a Nazi. Plus, you get the sense from him, and his wiliness and desperation, that the Nazis are a legit threat – you can believe they had the goods to actually succeed with the plot. That said, his performance is also bad, but only for extra-textual reasons – after all, he clearly set a standard for how to play Nazis on film and it’s no surprise that for the next seventy or so years of cinema, every hissable Nazi would be played much in the same way Portman did, only with a lot less subtlety. Your Best Picture winner 1942 was Mrs. Miniver, a movie I did not care for at all. Given that, I’d say that 49th Parallel was definitely a better film. However, as the Academy nominated ten films for Best Picture that year, including The Magnificent Ambersons, it’s fair to say that while 49th Parallel is better than best, it’s not actually best itself. Though this was a Powell/Pressburger Joint – professionally they would come to call themselves The Archers – they did not share joint writing/producing/directing credits on this film, as they later would, beginning with One of Our Aircraft is Missing. Though the film is reviewed here as 49th Parallel, it was originally released stateside as The Invaders, and in a bit of a truncated form. In particular, an edit was made to remove the Nazi assertion that Eskimos and black people were equally inferior, and were both only one step better than the Jews. Apparently, the thought was southern folks would be sympathetic to this assertion, about the inferiority of blacks and Jews, thereby undercutting the propaganda value of the film, which was to turn America against the Nazis. So, that part was cut out to avoid muddying the message, so to speak. Pressburger won the Oscar for this film Best Story – a category that existed back then – but did not share the award with co-scenarist Rodney Ackland. This is somewhat inexplicable as, today, Ackland would have certainly gotten an Oscar for his contribution to the film – likely via a ‘story by’ credit. This oversight is surely due to the time, in which the Academy had three writing awards: Best Original Screenplay, Best Adapted Screenplay, and Best Story. Still, this doesn’t explain why he didn’t share the award. 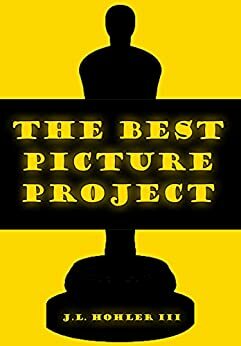 The Original and Adapted categories seem pretty straightforward – they each award the Best of their particular type of screenplay. Best Story is a bit of a mystery, and somewhat indefinable, which may explain why it was ultimately eliminated in 1957 and rolled over into the Best Original Screenplay Category. 49th Parallel is a story original to the screen – it was not an existing piece of intellectual property adapted into a new medium. Yet, I assume it was treated as an adaptation because Pressburger took an existing story from Ackland that had probably been bouncing around the studio and turned that into screenplay. Today, that would all be part of the Original Screenplay category – the ‘screenplay by’ and the ‘story by’ parts of it – but back then this counted as adaptation. The movie explicitly credits the screenplay to Pressburger alone, based on a scenario by Pressburger and Ackland, meaning Ackland probably had no hand in the screenplay at all. Yet, he was nominated in the actualy Screenplay category, but not in the Story category. In a weird way then, the Academy gave a nomination in the Adapted category to an Original Screenplay, but also credited the writer of the source marital, who based on the credits in the film, apparently did not share in writing the screenplay. All this at the same time it gave Best Story to the screenplay’s author – Pressburger – but not the guy who helped write the underlying story – Ackland. Trying to understand how this all makes sense is like trying to understand advanced trigonometry. And even then, I still don’t understand. David Lean, later to win a pair of Oscars for directing the epics Lawrence of Arabia, and Bridge on the River Kwai, was your editor on this film. Probably Psycho or The Birds, if I had to guess, and not some of the deeper dive films like The 39 Steps or The Wrong Man. Thanks to annual Easter showings of The Ten Commandments. And even then, I think their films are probably more famous than they are, particularly The Apartment for Billy Wilder, Casablanca for Curtiz had, and Ben-Hur for Wyler. Massey made his name for his titular turn in Abe Lincoln in Illinois. Fun fact about the Best Story Oscar – Dalton Trumbo won a pair of them whilst blacklisted – The Brave One (1956) and Roman Holiday (1953).